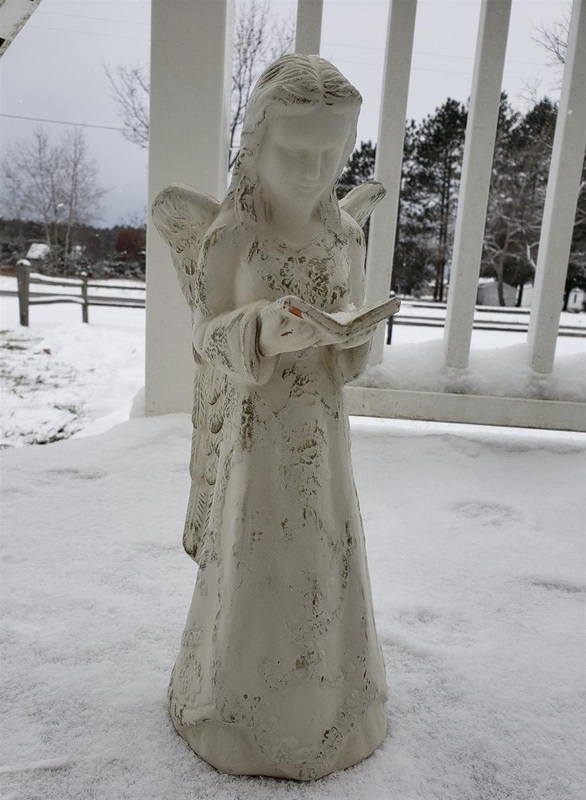 After writing the book, The Haunting of a Family, a friend told me a haunting story about her own angel collection. She has several different Seraphina Angel statues that she keeps in a cabinet and on shelves. She was telling me that she believed her home to be haunted because, regularly, the angels get moved around. There’s nothing else that gets moved: just the angels. She’s adamant that it happens even when she’s been home alone for a few days at a time. Just after telling me about this, she and her husband came home to find one of the large stone angel statues on their front porch turned completely around. She sent a picture of it to me so I could see. My friend is right. The statue is too big and looks too heavy for some mischievous person to run up on the porch and turn it around. It would take them quite a while and they would probably need some help doing it, too. I’ve included a picture of the actual stone statue as it sits turned around facing the house instead of in its original position on the porch.